The Ultraflux Minisonic G ultrasound flow meter can measure medium and high pressure gas flow taking account of the different flow regimes and without creating interference. This device can adapt to large flow variations with no impact on load loss. In addition, the Minisonic G flow meter is unaffected by dust or erosion, is accurate without requiring frequent recalibration and indicates all the data (instantaneous, total, minimum, maximum, etc.) governing gas sales contracts. Aeraulic: Air flow measurement for test bench. Mechanical ventilation: Air flow assessment. Industrial sector: Flow measurement in compressed air systems. 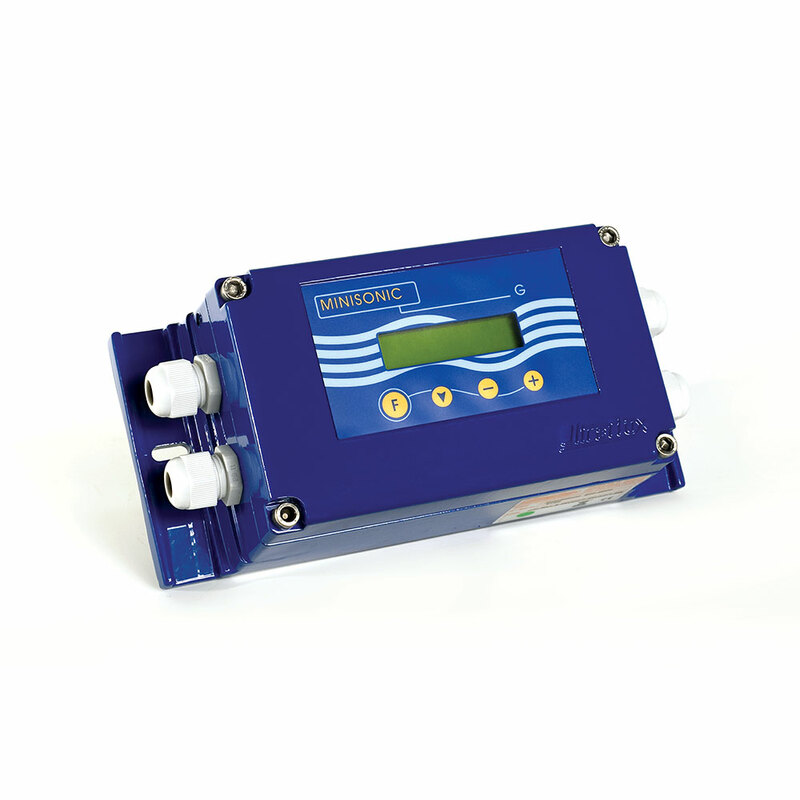 Semi-conductor manufacturing: Nitrogen flow measurement. Click the following link to discover our Minisonic G explosion-proof.